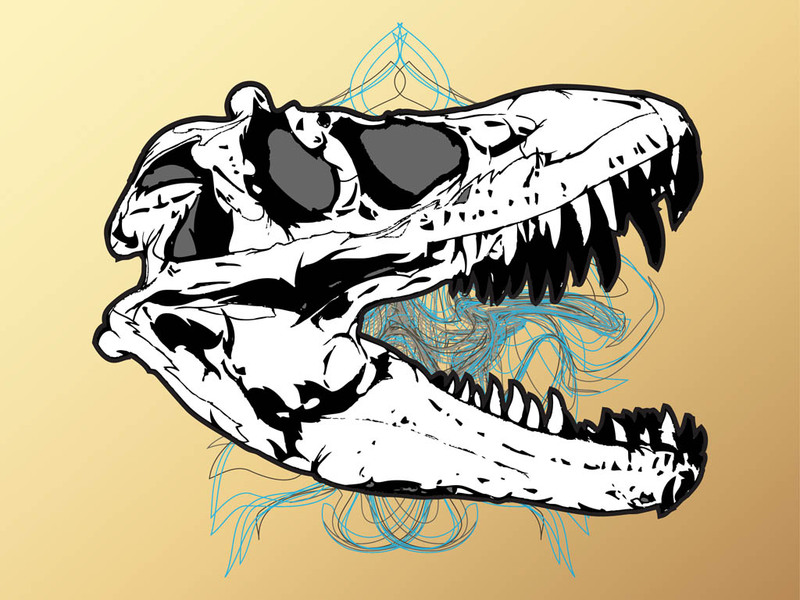 Vector graphics of an animal skull. Elongated head shape with big jaws and sharp long teeth. Dents and holes in the bone and swirling decorative lines behind the skull. Free vector design to create dead, death, scary, bones, skeletons, medicine, animals, nature and zoology visuals. Tags: Animal, Dead, Death, Halloween, Head, Scary, Teeth.